Sold Out! We're sold out of CommandIR's for now. Check back in the new year! Your receipt and credit card statement will show InnovationOne and will process in Canadian Funds. 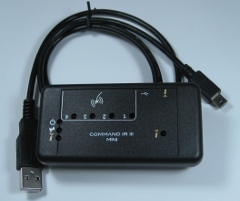 Plug-in receiver for all standard remotes (38kHz). Detects remotes up to 25'. For use with CommandIR Mini III and LIRC. 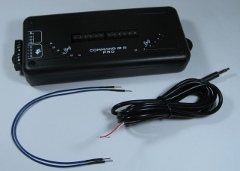 Quad-pack of IR Emitters for CommandIR III Mini or Pro. Each emitter has a removable stick-on adhesive for placement near the remote-control sensor on any device. Heads do not block remote-control signals from passing through transmitter.